Summer is here! With it comes warmer weather and sunny days. The change in seasons sends most of us racing outside and staying there until it gets dark or possibly even later. While our studio schedule will be pared down a bit for the summer (please see our schedule page), we have combined efforts with our teachers and have an amazing selection of summer classes for you to attend - some of which will be held outside! Enter, our "Summer Outdoor Series". These classes will be popping up in different spaces in the community. So fun! See the full list below for dates, times and yoga popup places. All outdoor classes are donation based (suggested donation between $8-$10). We hope to see you out there on your mats, towels, or, dare we say it - the grass. If you haven't made it to one of Kristine's classes, you are missing out. Kristine brings positive energy and joy to all her classes while also helping students explore how their bodies move with their breath. Londonderry NH, but South Portland is where my heart is! I found I stumbled upon yoga when I was broken… I was lost, just moved to Maine from New Hampshire to escape an unhealthy relationship (calling off a wedding that was 2 months away). I worked long, hard, stressful hours at a job that just wasn’t me, and had no idea what was next. I bought a yoga book (with lots of pictures) and a VHS tape with the hope of releasing stress and I loved it! I then found a studio seeking more… then more books, then yogi texts. Then I realized… I found it!!! PASSION, and ME! So, I teach for those seekers out there! It changes often, but I always come back to Triangle. It is a fundamental posture that makes you tune into every part of the body, grounding feet, strong legs to support hips, spine lengthener, core strengthener, heart opener… from there you can fly to half-moon. This pose challenges me every time! Favorite tune to hear in class? Anything acoustic… I am not picky about music maybe cause the only time I really notice it is at the beginning of class and in Savasana. Motivational tip or favorite quote? Yoga has so much to offer. Yoga is for everyone! There are so many different types: Vinyasa flow, restorative, yin, Nidra, Iyengar, Hatha, Ashtanga and so many more… explore!! Most importantly have fun with it!! Laugh when you fall out of a pose, keep it light. What do you emphasize in your class? Always meet your body where it is in that moment. Have patience and take the time to feel the pose in your body and your heart and be open to the magic it has to offer! What would you like students to gain from your class? I would love for them to gain space. We are so busy, and don’t take enough time to tend to our own heart (fire); To gain space within the body, to notice the space between the inhale and exhale, the space between the time on the mat and the outside world. This space opens the heart to feel, can help with patience needed to be better parents, partners, colleagues and friends. Would you consider yourself your own best friend? What difference have you noticed in your body or overall health since practicing yoga? I feel stronger and more energetic! Yes, there is more flexibility, but I feel that in my mind too. I can go with the flow more and when the bumps in the road happen, I don’t freak out (as quickly). Where can we find you when not at GYC? I love hanging out with my family and friends. My favorite times are typically outside, riding bikes with my daughter, going on road trips or just hanging at my sister’s camp in front of a fire making s'mores. Who knew (fun bit of info about you)? I am a hippie, aka a Dead Head (Grateful Dead fan). I used to make my own clothes and extras to trade at shows. After shows I would play my djembe drum and dance at drum circles (I still do). I went to Johnson & Wales University for baking. I love to bake, which is my first version of meditation. Lastly, my man is my ex-husband. We have been together longer this second time around then when we were married. He is the father to my daughter and my soul mate. I feel amazingly blessed and grateful for this path I am on and look forward to the next adventures, on and off the mat. 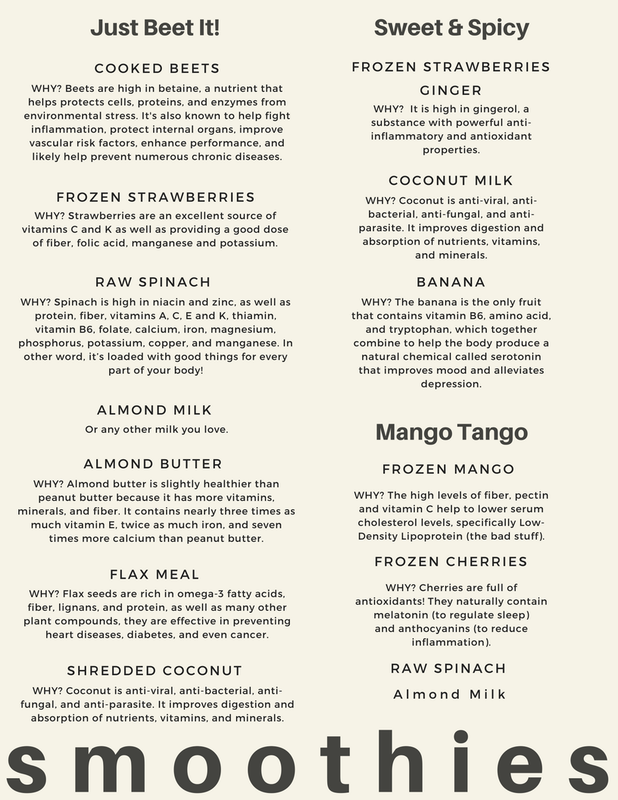 Check out these delicious and nutritious smoothie recipes! Smoothies are a great way to pack a bunch of nutrition into one meal. What is your favorite smoothie combo? We'd love for you to share! The benefits of Restorative yoga are worth taking a moment and reading about. They are vast and can be life changing. Most people think it isn't very beneficial to the body- just an excuse to lay on your mat and be lazy. I am here to share that it is so much more than that. Restorative yoga is a way to go deep into the body by using props such as blankets, bolsters, straps, and more. By making the body as comfortable as possible, you can relax more fully and begin your journey to restore your body, mind, and soul. Restorative yoga also directly affects the Vagus Nerve which is the largest cranial nerve and starts at the back base of the cranium and flows throughout the body connecting the respiratory, digestive and nervous systems. It regulates our breath, heart rate, digestion, and mood. Taking deeper, slower breaths greatly helps calm the body and aids the vagus nerve in processing new information and experiences. If we are under constant stress, it inhibits the vagus nerve from doing its job. Constant stress causes our digestion to slow, our heart rate increases and our mood may shift unpredictably. Restorative yoga is a wonderful practice for athletes. If performed after athletic events or physical exertion, the body relaxes and may begin to feel less sore. It is a great tool for a more gentle physical recovery. If you haven't tried Restorative yoga, I would highly recommend it. It's worth the hour of breath, focus, and stillness. Try something new. Get out of your stress breath, get on your mat and breathe. Get to know a little more about our beloved Valerie! If you have been to her classes, you know how special she is! If you haven't been, make sure to put it on your calendar because you are missing out! Flow for All on Saturday mornings at 7:30 & 9. I took my first yoga class as a junior in high school and was immediately captivated by the union of movement, breath, and the moments of quiet and stillness of the mind the practice provides. In college, my yoga practice became my lifeline. I spent much of those years feeling lost, trying to navigate my place in the world, and it was the moments that I stepped on my mat that brought me back to myself and cultivated a sense of belonging. It was that period of time that led me to my first yoga teacher training in 2005, and within the first day of that training, I knew the practice of yoga would be a consistent part of my life going forward. Looking back at these past 12 years, I’ve changed and evolved greatly, but my yoga practice has remained constant and still cultivates a sense of coming back to myself. I would say my favorite posture changes on a weekly basis and is dependent on how I am feeling in any given moment, physically and energetically. The shape I’ve probably been loving the most lately is Legs-up-the-wall pose (Viparita Karani). Between my full-time job as a middle school teacher and spending much of my nights and weekends teaching yoga and fitness, my days are long. So this pose feels absolutely heavenly, and is one of my favorite postures to take right before bed. It’s is a wonderful way to feel grounded and to come back to yourself following a busy day. The practice of yoga doesn’t expect you to be perfect or flexible, and neither does the teacher. By simply taking the time to step on your mat means you’ve already accomplished the hardest part. This practice is all about exploration- exploring who you are and what is felt in any given moment- not perfection. It’s not about a specific pose or shape, and it’s definitely not about what you see on Instagram. It’s a personal journey that can help you navigate your life a little differently, on and off your mat. What I always hope to convey in a class I teach is that there is not one shape for any given posture that is the ultimate goal. A shape that works for one person’s body is not always a shape that will work for another person’s body. We are all made so differently- structurally our skeletal systems are different and based on how we spend our days and things we’ve experienced in our lives, our tissues are also very different- all of which determines what may be available in our asana practice. Every person has the permission to take what he or she needs at any point in time based on what they are feeling physically, energetically, and even spiritually. There is never one right answer, option, or shape. I hope students are able to experience a sense of letting go and a return to what feels true and authentic to them when they practice with me. This life is demanding and with its demands we often feel the need to hold on more tightly, to control life and its experiences a little more. We also frequently get caught up in the expectations of either others or ourselves, and sometimes forget that if we give ourselves the space to listen to our intuition, it will never lead us astray. Through the practices I teach, my hope is to help students wear down the path of these tendencies to hold on more tightly and to try and control things more, and instead learn to navigate their path with more ease and authenticity, not just on their mats but in all aspects of their lives. When I’m not at GYC, you can find me at a variety of studios in southern Maine teaching yoga, teaching health and wellness at the middle school level, at the movies with my favorite guy, in my kitchen creating delicious recipes and having epic dance parties, and traveling to as many places as I can! I spend my free time reading anatomy books for fun! I truly love the study of the human body and devote as much time as I can learning more about its complexities and intricacies. I find it absolutely fascinating and love integrating my knowledge of the human body into the practice of yoga. One writer describes it similarly to being on an airplane and having to put on your own oxygen mask before helping others. You cannot help others if you yourself can't breathe. Which is so true. You have to make sure your own being is in the right state of mental, emotional, physical, and spiritual health before you can guide others around you (i.e.- family, friends, co-workers, students, etc). Something important to also think about is self-care looks different for each person. Our individual needs are very different. What may be self-care for me can certainly not look or feel like self-care for you. It's important to assess our own individual needs and address them when they arise. Which, interestingly enough, may be different each day/week/month/year. Our needs change and we need to make sure we are always aware of the changes and choose self-care based on where we are on our journey. Also, we need to be as compassionate with ourselves as much as we are with others. Loving yourself isn't a bad thing. Taking care of yourself isn't horrible. Self-care isn't selfish. It's vital. We are part of a society where the societal norm is to always meet the needs of our family, friends, coworkers, bosses, and community, before we consider our own. But, if we are in a constant state of stress, anxiety, worry, and general unhappiness, - the hustle of life- how can we meet other's needs fully or compassionately? Our mental, emotional, physical or spiritual health will begin to deteriorate. Be compassionate with yourself. Take a moment each day - or even 2 or several - and make any small change that will help you. This may not come naturally to you. In fact, it probably doesn't. Go into this slowly and purposefully. There is no right or wrong way to engage in self-care. If you try something that doesn't work, try something else. Don't force it. Forcing self-care will diminish the value. Find the value and bring it into your life. 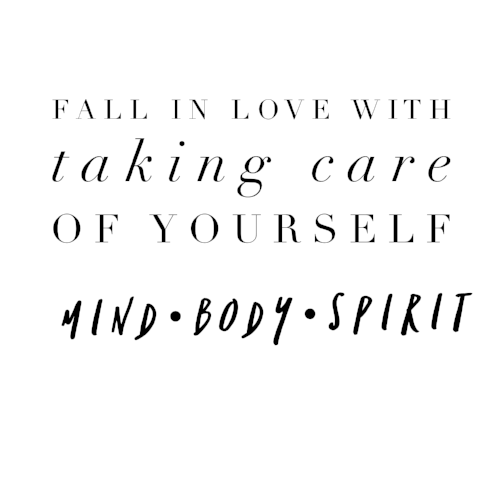 Fall in love with taking care of yourself. I (Jessi) only came into proper self-care a few years ago. It took a long time. A loooong time. I found guilt in taking that time for myself. After being a stay-at-home mother for 3 years and giving birth to my second babe, I was a hot mess. There. I said it. A crazy, hot mess. Amber invited me to try a yoga class with her (my very first!) and so began an amazing journey of, not only self-care, but life changing opportunities. We started weekly self-care yoga dates that turned into a yearly self-care trip where we indulge in only the things that will bring us joy - yoga, reading a book, the beach, a manicure, wine tastings, whale/dolphin watching, watching a movie, conversing with each other with no interruptions, laughing, crying, eating new foods, breathing... the possibilities are endless. We now make this an annual trip and come home with renewed energy, hearts filled with joy, and a new appreciation for ourselves and those around us. That is just a big way we find self-care. Some small ways I find by myself include: before getting out of bed in the morning I take 10 deep breaths with my eyes closed, making a hot cup of tea and sitting at my sunny window to watch my chickens while I drink it, play on snapchat with 1 of my kids at a time (it's hilarious! ), snuggling up with a new book, taking new yoga trainings, making cookies, giving myself a facial mask and foot soak, eating healthy snacks/meals and sometimes eating something *not* so healthy, moving my body daily (yoga, a walk, gardening)... and so much more! Self-care is not selfish. It's necessary. It's essential. What are your ways to indulge in self-care? We would love to hear them! We are so excited to be adding another talented teacher to our schedule. Sonya found her way to yoga in 2007 while working on her PhD in English literature. She discovered that linking breath and movement in vinyasa flows was the perfect way to relieve the stress of graduate school, and has been practicing ever since. As expected from a PhD in English, you can find lovely and precise cuing in her classes. Sonya received her YOGA ALLIANCE RYT-200 training in 2015 at Charlotte Family Yoga, working with Diane Cevallos and Hollace Stephenson. She has also been trained in prenatal yoga through Charlotte Family Yoga, Curvy Yoga with Anna Guest-Jelley, and children’s yoga with Karma Kids Yoga and the Children’s Yoga Teacher Training Collaborative. She has taught yoga in North Carolina, Colorado, and is happy to teaching in her newly adopted home here in Gorham. Her classes emphasize safe alignment and building strength, endurance, and flexibility. She loves working with props to make asana accessible for bodies of all shapes, sizes, and abilities. Off the mat, Sonya enjoys spending time with her husband, twin sons, and cats; doing crossfit; and cross-stitching until her eyes cross. We think she is awesome, and we know you will too! Sonya offers a Flow for All on Wednesday nights at 7:30pm. Elderberries have been long used as a source of healing and immunity boosting. While science studies are still being conducted to make sure this claim is accurate, they are filled with vitamin A and C. When in syrup form, elderberries can cut down on mucous produced during a cold/flu and can boost immunity. Vitamins A and C are important in keeping the body healthy. They boost the immune system by increasing the antioxidant levels in the body and protecting cell walls that have been damaged. Elderberries may also help with swelling in the throat while soothing and reducing discomfort. My family has been using elderberries in syrup and tea form for years. 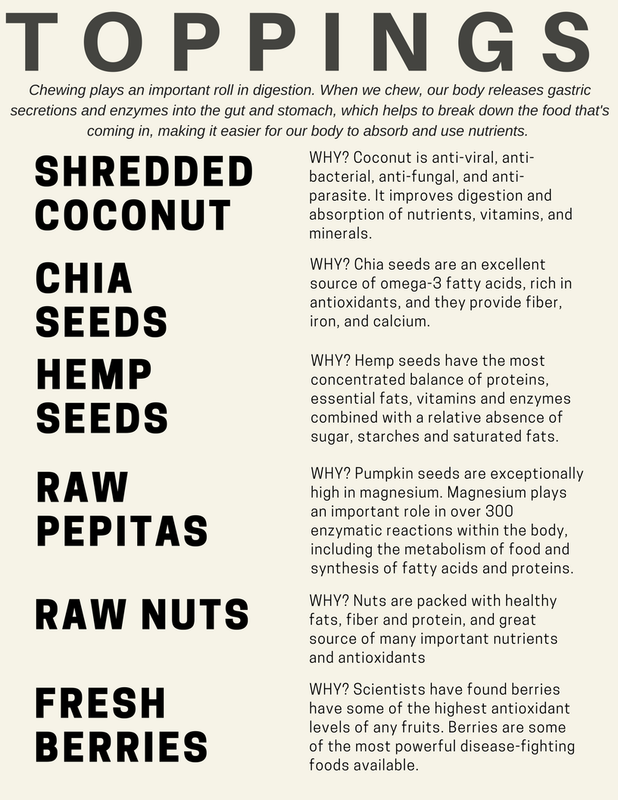 Not only do we love the healing benefits, but we love the taste and it gives us the opportunity to keep our options more natural based. There are so many benefits and it’s a natural way to possibly relieve our bodies of fatigue, chill, fever, cough, and sore throats. Here is my recipe for Elderberry Syrup. This is a tried and true scrumptious blend of ingredients. I add dried echinacea but you definitely don’t have to add it. Echinacea isn’t usually something that you have in your pantry, but I would suggest getting your hands on some for future use. Sterilize a quart sized jar and lid/ring by boiling it in water for 10 minutes. Put all of your ingredients, except the honey, in a pot on the stove. Bring to a gentle simmer for 45 minutes. Stir berries occasionally and mash a few as you simmer. Bring to room temperature and mash the berries against the side of the pot with a spoon. Once cooled, strain the juice into the sterile jar and add honey. Whisk together and store in the refrigerator. Enjoy by the spoonful! Whenever I have new students in my class, I always like to explain that while downward facing dog is a restful pose, it may not feel that way for awhile. Can you relate? I know that I can. Even after years of practicing yoga, and knowing what my body is supposed to do, I still struggle from time to time finding rest in this pose. However, my lack of resting isn't because my hamstrings are pulling, or there is too much weight on my wrists. My non resting place is deeper than that. This restlessness rears its head in more than just downdog, it’s a part of many poses, and many areas on and off my mat. You see, my back isn't completely straight in my down dog, and I don't have much hang time in my handstands. My forward fold doesn't connect my chest and thighs, but leaves a large window between them. My unrestful space? Comparison and frustration. It can come in any shape or size, yoga or not. Have you ever been there? Maybe instead of yoga, it's someone's home, or their mothering, or their fitness plan, we have all sat under the weight of feeling inadequate. I remind my students all of the time that we don't force our bodies into yoga poses. We show up wherever our body allows, and take deep breaths. The breath creates space that we slowly and effortlessly move into. Forcing and striving leads to a joyless practice full of injury and frustration. I'll let you in on a secret, most of the time as teachers, we are reminding you of what we also need to be reminded of. The same goes for life, as soon as we start forcing and striving towards goals or the approval of others, the joy leaves, the frustration settles in and we risk injury of our own hearts and the hearts around us. Surrender is key here. Surrender to what is, and grace-filled acceptance of who you are right now. We need to remind ourselves that we are enough. That we are treasured and loved. That we are in this for the long haul, not any medal given at the end of a sprint. A teacher once told me, you do you. Don't worry about what others are doing around you, just be true to your design. So my encouragement to you today (for us) is keep showing up to your down dog. Rest will come. Use the breath and don't force anything. You do you. And above all, remember this is a journey. We have officially entered into the Fall season. School has started, germs are abounding, and Maine cannot figure out what weather she'd like to offer us. Sound about right? 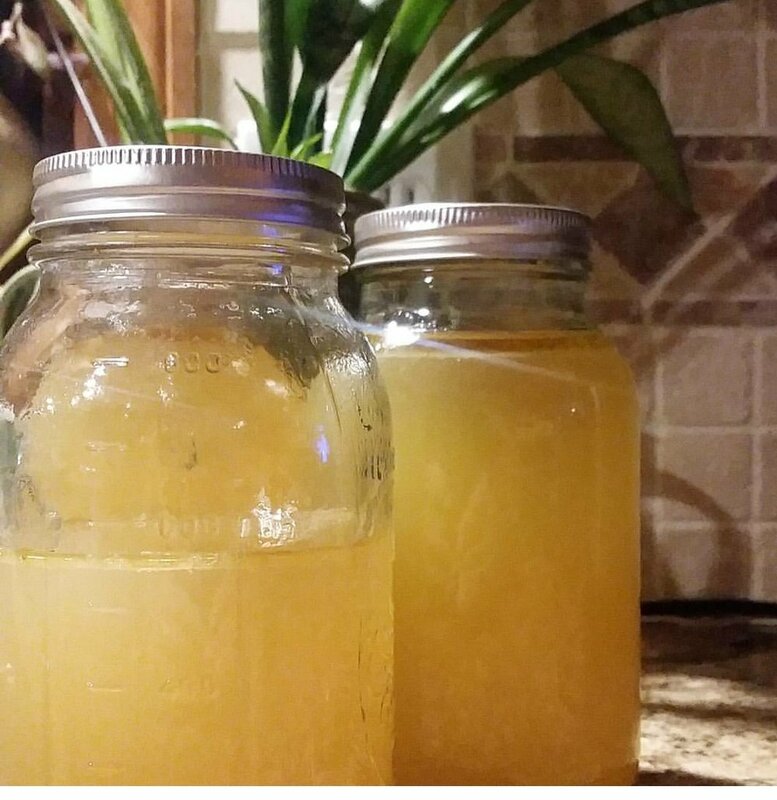 I wanted to share a favorite immune boosting food with you today: bone broth! I know. It sounds weird but I assure you, it is amazing! Bone broth is filled with minerals, collagen, and glutamine that aid the body's immune system and help reduce gut/intestinal inflammation. It's a win-win! I usually start out by saving my chicken bones and freezing them until I have about a lb or two of them. When I have enough bones I add them to my instant pot (you can do this in a pot on the stove or a crockpot - it just takes a bit longer). I pour over the ACV and water and cover. Let that sit for about an hour. The ACV draws out the minerals in the bones. Do you have to do this? No, but I'd recommend it. Add all your veggies, garlic, herbs and salt. I've been known to add a shake (or 3) of cayenne pepper to the pot. It spices it up a bit. Yum! Cover that instant pot and press the soup button. Set the pressure to low and increase the cook time to 120 minutes. When the timer beeps, let it depressurize manually. * Strain the broth into jars and refrigerate or freeze. Should be consumed within 10 days. It can be frozen up to 6 months. *All of this can be done on the stove. Just simmer, covered, for 24-36 hours. Strain into jars and Enjoy! Still can be refrigerated or frozen. Hope you find this recipe appealing and enjoyable! As the temps drop and the cold or allergy related sniffles start, here is my go-to recipe for an immunity boosting tea that really packs a punch. Best part? You can find all of the ingredients in your pantry! Did you know that according to Ayurveda, Autumn is a Vata dominate season? You can learn more about Ayurveda, the sister science of yoga, here. Learn how to balance your Vata dosha here. Here is a quick and easy soup recipe to try! Place the butternut squash in a saucepan and pour broth to cover. Bring to a boil, stir the curry powder and salt in, let simmer for 10min. Transfer squash and broth to your blender (or use an immersion blender) and blend. Add the coconut milk. This soup is thin and best enjoyed from a mug, wearing slippers and your favorite hoodie. Our first pose. The shoulders are rounded and most of the upper body's weight is being dumped towards the hands. The heels are pushing up and forward creating even more of the body's weight to be placed on the arms and wrists. This will create a lot of tense muscles and wrist pain. Also, there is no aligning of the ears with the shoulders and hips, which would create a straight spine. Instead the spine is out of natural alignment. Here we have a very short stance. There is no lengthening of the spine. Though the soles of the feet are flat on the floor, there is still a lot of weight being dumped into the arms and wrists. You get a sense that the body is still being pushed forward instead of up and back. The shoulders are rounded and the gaze is down towards the hands which will cause tense neck muscles and tight upper shoulders. There is no engagement of the abdominals, quads, or arms. There's a lot going on here! Let's start at the hands: fingers are nice and wide. She is pushing into the pads at the base of the fingers and sides of the palms but being careful to lift slightly up off the wrists lengthening up through the arms. The shoulders are rolled onto the back and ears are more aligned with the shoulders which brings the spine into better alignment. The lengthening continues up the spine where the hips are being sent up and back bringing most of the body's weight with them. The legs have a gentle micro bend in the knees to allow for tight hamstrings and the heels are sinking back towards the earth. There is an inward rotation to the thighs keeping them turned on and the lower ribs are knit together which gives better engagement through the abdominals. Her gaze is towards her feet/shins and there is good distance between her hands and feet. This last picture is almost identical to the one above but for one difference: she is now straightening the legs (not locking the knees) sending her heels down to the ground. When the heels are able to touch the earth, there is an even stronger inward rotation of the thigh creating a solid base for the posture. Notice the arrows going up the back and down the leg. This is where the weight goes when properly aligned. We hope you are able to find this pose breakdown helpful to your practice. Please don't ever hesitate to email us or ask us questions in the studio when you come in for a class. See your smiling faces soon! We are so excited for all of the students that will soon be descending upon Gorham's beautiful college campus! Did you know that yoga has been proven to increase academic performance? Since we know you have all missed scholarly articles over the summer, check it out here! Basically, yoga leads to reduced stress, which in turn produces countless health benefits! Student or not, who wouldn't like to experience less stress, increased alertness and a general sense of relaxation and well being? One where you basically lay on the floor for an hour in complete relaxation (restorative). A more traditional flow where you move to your breath (vinyasa). A workout for those who think yoga is too easy, we dare you! (power). Funky tunes, and a fast flow early enough that you can still go out Friday nights! (hip hop). Check out our schedule and more at gorhamyogacompany.com. Our open house is September 15th from 5-9pm. Stop by to see our cozy studio, meet the teachers, and put your name in for a chance to win free yoga & a Jade mat. We hope that summer will provide you with some time of relaxation and pause. Whether you are at the beach, on the porch, or simply stealing a few minutes in your car during lunch break, here are our summer reading suggestions. We are working on creating a lending library at the studio, so be on the lookout! Ayurveda is an ancient health system that is still relevant today. Focusing on health and wellbeing through lifestyle and diet changes. This book helps you identify your 'dosha' or your personal mind-body type. With this knowledge, you can make choices about your diet, exercise, supplements and other lifestyle choices that will help you achieve optimal health. Although we experience our bodies as solid, they are in fact more like fires that are constantly being consumed and renewed. We grow new stomach linings every five days, for instance. Our skin is new every five weeks. Each year, fully 98 percent of the total number of atoms in our bodies is replaced. Ayurveda gives us the tools to intervene at this quantum level, where we are being created anew each day. Ayurveda tells us that freedom from sickness depends on contacting our own awareness, bringing it into balance, and then extending that balance to the body. Perfect Health provides a complete step-by-step program of mind body medicine tailored to individual needs. Did you know that most health issues stem from an unhealthy gut? While it may be trendy right now to drink kombucha, the fact is, fermented foods play a pivotal role in the health of your digestive system! When you preserve food in this way, it creates beneficial enzymes for your gut, b-vitamins, Omega-3 fatty acids, and various strains of probiotics- all things your body will thank you for! Increasing the amount of fermented foods you consume may be the health boost your body needs. Instead of reaching for that sugary yogurt at the grocery store, try fermenting your own foods with this guide! Simplifying the art and science of fermentation, Cox offers a primer on the body’s microbial ecosystem, complemented by scrumptious recipes, and easy-to-follow pickling and canning techniques. Basics such as bread and yogurt help readers progress to wine, cheese, and a host of international delicacies, including kim chi and chow chow. Inspiring and innovative, The Essential Book of Fermentation serves up great taste along with great health on every page. When Women Were Birds is a beautifully written book about self discovery, finding your voice, and unpacking what it means to be a woman. Have you forgotten what it is to sing with joy at sunrise? This book will remind you. This short and easy read was a requirement for one of my classes, and I fell in love with it. I found myself relating, tearing up, and gaining a wider perspective on the world around me. My Grandfather’s Blessings is a book of wisdom, the wisdom of Rachel’s grandfather, an orthodox rabbi and student of Kaballah and Rachel’s own wisdom as a compassionate physician and a survivor of lifelong chronic illness. The stories in this book heal our deepest fears: that we do not belong, that we are not enough, that we are powerless, that we are alone. In My Grandfather’s Blessings, we discover that we all matter and that we are all healers. These stories will make you laugh and cry and ultimately show you who you really are and how large a difference you have already made to the people around you. What is on your must read list for summer? We would love to hear! All we can say is, "THANK YOU!" Wow, what a crazy two weeks it has been! We were surprised and thankful to see how many of you made it out to our open house. We have been steadily filling classes and growing the community, and we couldn't do any of that without you! We are so excited to join the Gorham community and look forward to bringing the gift of yoga for years to come. Check out this promo video of the studio produced by 42nd Media! 4 Wk Toddler Session- Tuesdays at 9:30am starting May 30. Sign up on our 'class' page! 6 Wk Mommy and Me Session- *We are changing the day/time of this session in order to cater to more working moms (we hear you!)! Stay tuned! 4 Wk Kid Session- Thursdays at 4:30 starting June 29. Sign up on our 'class' page! Live Concert Classes- End of June & end of July - More details to come! After years of dreaming about opening a yoga studio, it is finally happening! We are so grateful for this opportunity and truly feel like it is an honor to bring yoga to the Gorham community. We signed the lease, and now comes the hard part! The month of April will hold long days of hard work, but we are up for the challenge. We can't WAIT to get you guys inside our doors and onto your mats!